As owner and chief executive officer of an eponymous photography business, Dr. Walton executes customer photo projects, manages orders and the flow of SafariScreen2Go™ and Screen2Go™ Ultra-Portable Projection Screens between sales channels and the warehouse. His company offers fine art images, commercial products, wedding photography, and training for Adobe Lightroom and Photodex ProShow Gold, as well as many others products and services. 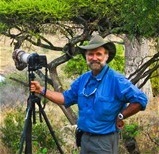 Throughout the course of his career, he has developed wide-ranging expertise in nature and wildlife images, photographic editing and consulting, and one-on-one training. Dr. Walton became involved in his profession through his hobby of photography, which he practiced for more than three decades, before becoming a professional in 2006. When he started, he received awards for a couple of photos he took early on in his career. Since that time, he has learned new methods from the local Placer Camera Club, Viewpoint Gallery, and the Photographic Society of America. The highlight of his photography career so far has been receiving recognition for the quality images he has been blessed to take. This entry was posted in Photography and tagged configuration, framing, matting, nature images, operations management, photographic consulting, photographic editing, SAP variant configuration, video DVD's, wildlife images.